The just plan it software offers various ways of creating and modifiying jobs and their belonging tasks which are described in this chapter. Details" dialog. Enter all needed data and and click OK. In addition to creating jobs, the "Manage Jobs" dialog can also be used to edit jobs. To call it, either click in the menu bar or in the job line. 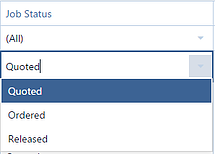 Sort the jobs by any desired field in ascending or descending order by clicking the according table header. The sorting order will be indicated by an arrow symbol pointing in the according direction. To change the sorting order, click on the arrow symbol again. Filter any field by entering the criteria in the search field next to it. 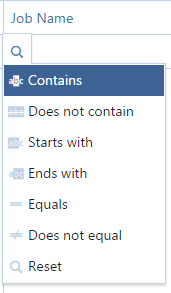 Some fields offer a list with relational operators which is shown if you point to this icon without clicking. Other fields contain drop-down lists with possible values or date pickers. 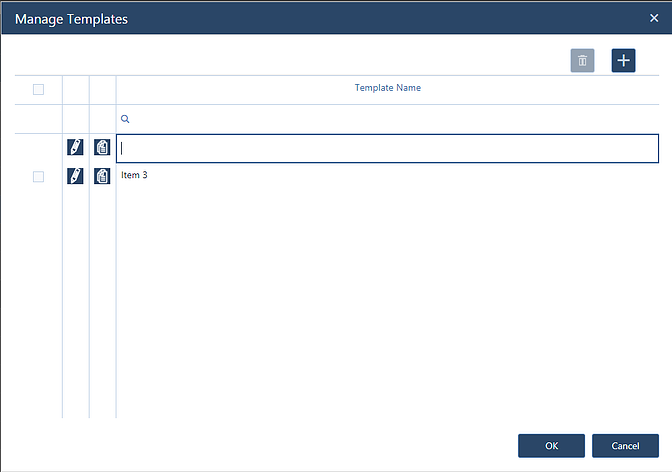 Click any of the table fields to modify its contents. Some fields offer a drop-down list to select the available options or date pickers. If you want to delete more jobs, select them by ticking the checkbox in the first column. Ticking the checkbox in the first row will select all jobs. Call the "Manage Job Details" Dialog to see and modify more details of a specific job. More job details, including the job's tasks, can be viewed and edited in the "Manage Job Details Dialog", being reached either from the "Manage Jobs" dialog, as described above, or by clicking in the job line. 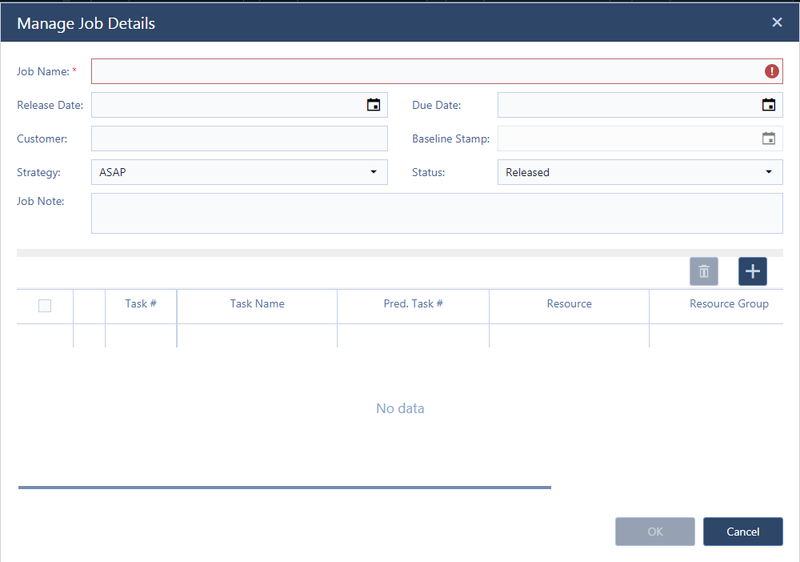 In the lower part of the dialog, all tasks of the job are listed. 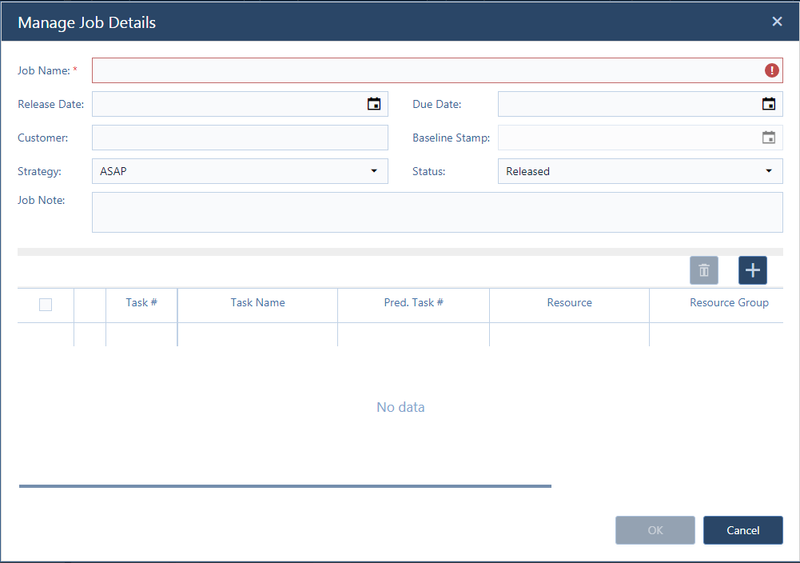 New tasks can be added, existing tasks can be edited and deleted. Please note that there are further, more user-specific task-related details that can be edited in the Manage Task Details dialog. A divider between the job-related information and the tasks list can get moved up and down to minimize or enlarge the space for either area, whereas the horizontal scroll bar lets you view and edit all details.. 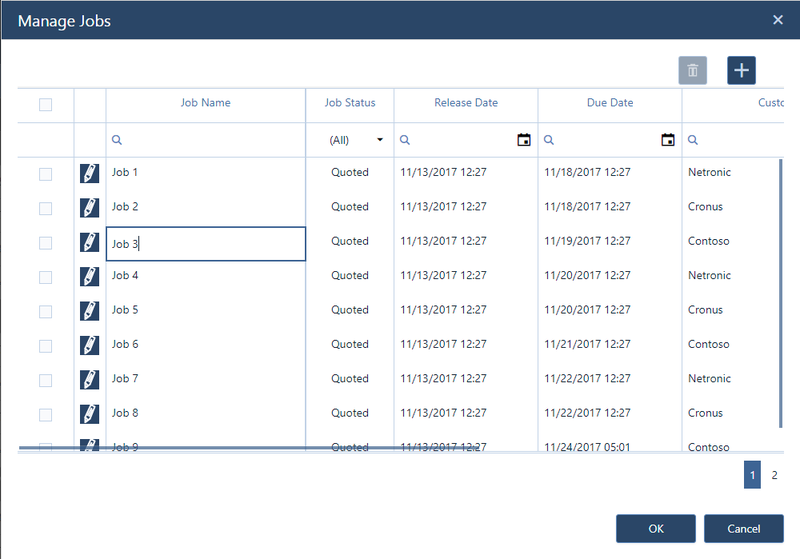 In addition to the functionalities included in the BASIC and PRO packages as described above, the "Manage Job Details" dialog in the Enterprise edition offers a powerful feature that is explained below. Whereas the scheduling options in the BASIC and PRO editions primarily aim at supporting job shops whose jobs are pretty unique at any time, and who need to create everything from scratch for every job - including the specific jobs' schedule, the enhanced options of the ENTERPRISE edition address make-to-order manufacturers with having some degree of repetitive processes. The job with all its tasks and their complete durations as well as the allocation of the tasks to the resources will be added to the schedule immediately. For more details on tasks and task details see chapter "Create and edit tasks". 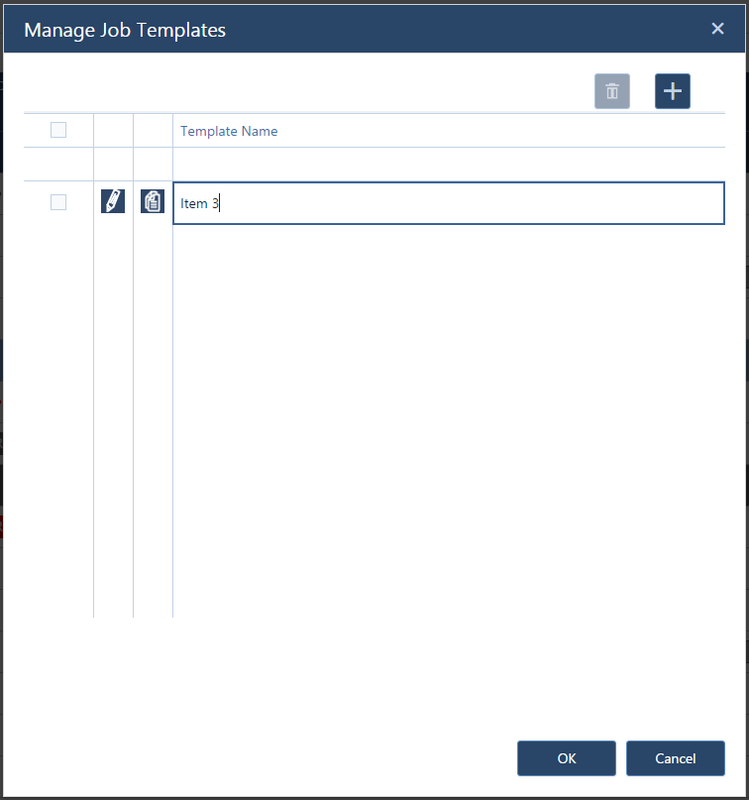 For changes to existing templates, also click in the "Edit" section of the menu ribbon to open the "Manage Job Templates" dialog. All your templates will be listed here. Delete one or more templates. 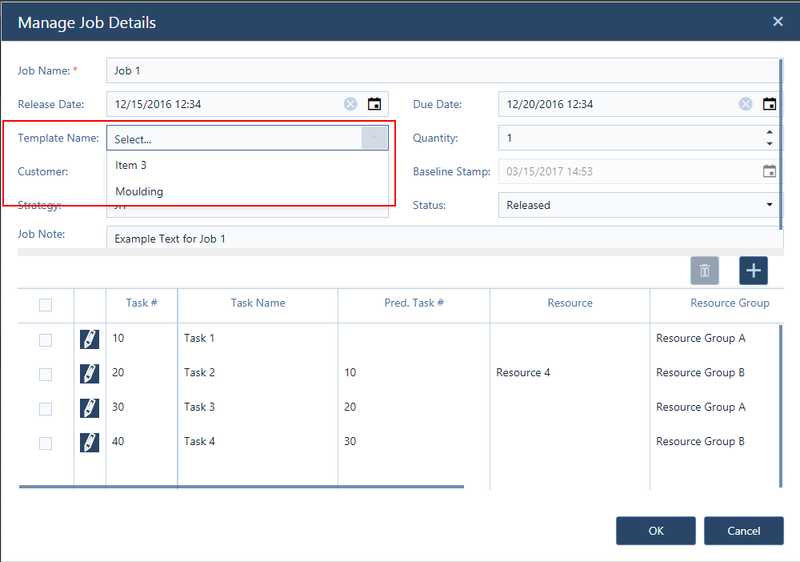 After having created one or more templates (one way or the other), you can apply them when you create new jobs: In the "Manage Job Details" dialog, select the desired template from a drop-down list and set the appropriate quantity. 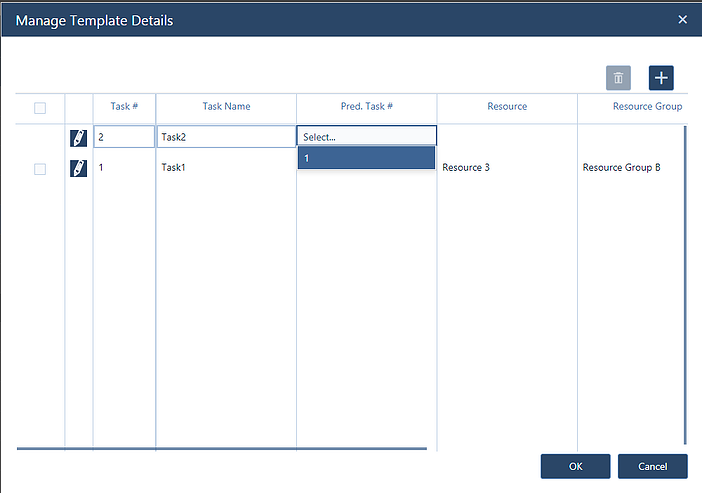 Please note that a job will stay linked to the template only until any one task setting gets modified.